There’s still firework displays to see! Click here for the list. Don’t miss out on festive fun in November: click here for Christmas goings on. Jewellery and Silversmithing consumer show – Get some gifts ideas and a chance to buy direct from designers. James Bond: Spectre – Charity Screening. Come along to Harbour Lights Cinema in Southampton to raise money for the Hospital. Southern Voices: Reflections – Exquisite performances of Maurice Durufle’s Requiem at Winchester Cathedral. The American Delta Bluesman – Kent Duchaine at Winchester Discovery Centre. Watercress Line: Walk the line – enjoy a variety scenic walks, including a vintage bus ride start. Walks range from 3, 6 to 10 miles. Winchester Cathedral: Modern Art – tea and coffee served after the tour and question time. Christmas Fair – Local arts and crafts, gift ideas and a raffle, in aid of The Cancer Support Centre. Jane Austen Tour + Cream Tea: Explore the historic street where Jane and Cassandra stayed during their time in Winchester. Colden Common Fireworks: Gates open at 5:30pm. Bishop’s Waltham Firework Event: Gates open at 6pm. Winchester Bonfire + Fireworks: Starts with a torch lit procession through Winchester streets. Winchester Farmer’s Market: Come along to one of the largest in the UK. A huge variety of delicious local produce. Alan in wonderland: This show tells the story of Alice’s brother…Winchester Discovery Centre. Children In Need: Look out for events you can support and help raise funds for this fantastic cause. Christmas Lights switched on: This one’s not to be missed! Matt Baker from The One Show will be pushing the big button! Mince Pie Tasting: Alresford County Market – An opportunity to get your Christmas on! Coffee + Cash: Come along to discuss funding needs with the team at Alresford Recreation Centre. Coffee included! 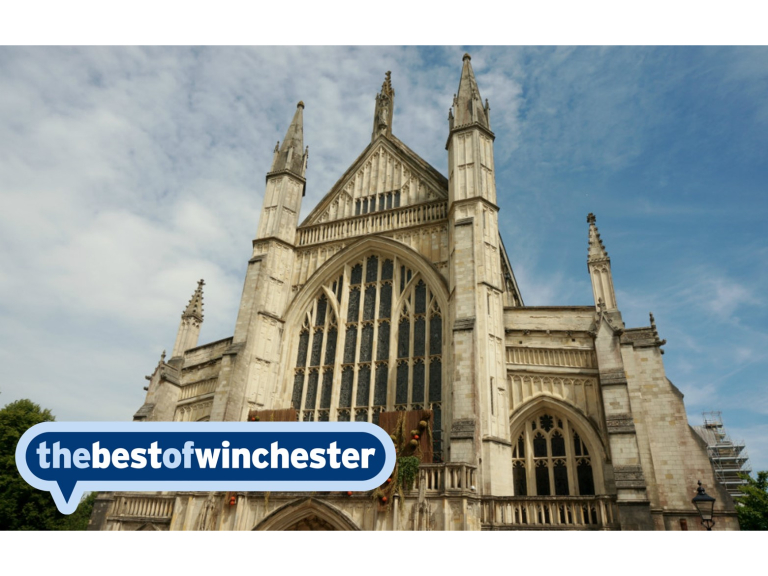 Sign up to be the first to know what’s going on in Winchester. Remembrance Sunday isn’t far off. Poppy stands will be making rounds of the Winchester areas.